Tabletop RPG Information and News! I’m not sure what the hell I was expecting, but the closest I found was the ancient Shugendo practice of Bhuddist monks attaining spiritual power in the mountains. In the end (though I learned a lot of interesting stuff) I figured I’d just have to play lots of Megami Tensei to get my fill of Eastern Occultism. So the other day I was wandering the Wiki path and came across an entry that had to have been on the periphery of my vision for years. This book, Teito Monogatari, seems to be the source of many–if not most–of today’s Eastern occult memes, just as Futaro Yamada‘s stories did for ninja myth. It was written by Hiroshi Aramata, who at the time was a historical scholar with an interest in old weird Japanese stories. He wanted to share the obscure things he’d learned and started writing the novel as a side project. It immediately took off and became a 12 volume epic story that spans a hundred years and spawned spin-offs, prequels, manga, and several anime (even a play!). The ideas found in Teito Monogatari immediately took hold in Japanese culture and became the basis for manga like Tokyo Babylon/X, anime such as Demon City Shinjuku, and games such as Shin Megami Tensei. 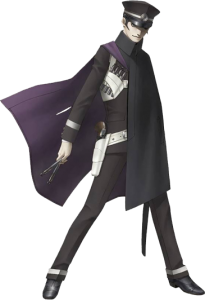 Raidou Kuzunoha from the Shin Megami Tensei spin-off of the same name. 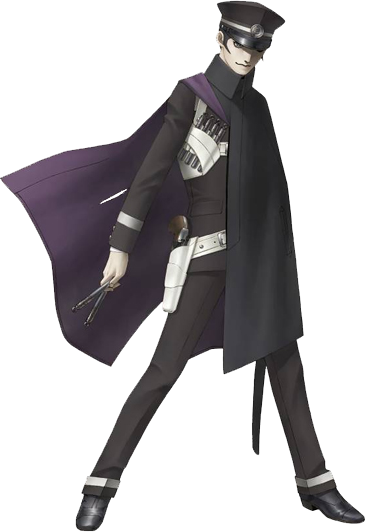 Photo from the Megami Tensei wiki. The story itself concerns itself with Yasunori Kato, an onmyouji and oni who was part of the Japanese Imperial Army. For reasons going back thousands of years in Japan’s past, he is determined to bring down the city of Tokyo and tear Japan apart. I don’t know much more than that, but I’m going to get my hands on a copy of the books and see if I can get through them. There’s an older manga that goes through the first half of the story, but I’m going to challenge myself to get through the text. I’ll come back with an update once I’ve given it a shot. In the meantime, what sort of Eastern occult meme have you been interested in and are curious about? The ‘wormcharm’ in Tenra Bansho, for example, might have some roots here, from the Kodoku practice of insects embuing humans with luck. I’m excited to see what else is in there waiting for me! Personally, I’m still confused how all these strongly family-oriented Asian cultures managed to pick up Buddhism as a major religion when the basic tenets seem to involve abandoning all one’s connections to this crass physical world, including family connections. Admittedly, the Buddhism that eventually got to Japan is a rather different beast than what it started as in India, having picked up a lot of Confucian and Taoist bits going across China, but it still seems weird. What I’m wondering is why is Mikkyo (esoteric Buddhism: Everything from “maps of the regions of heaven” to “ninja magic”) is still so interesting, even in the modern era. * What’s up with prayer strips? * I don’t see pentacles at Shinto shrines or Buddhist temples, but they’re all over the place in manga/anime/etc like Teito Monogatari, Doomed City Shinjuku, etc. What’s up with that? I think a lot of the Onmyou stuff has its roots in Taoist mysticism in the same way that a lot of Western occult comes from Hermeticism. Taoism has a long history of written talismans and uses pentagrams to represent the five element cycle. Also, I wonder if its because “occultism” itself is a Western idea, which when applied to Eastern mysticism also put more emphasis on stuff like pentagrams and whatnot. I am curious what the line was (if any) between mysticism/magical thinking and the occult before the Meiji period. I imagine it would reasonably parallel Western alchemy, where practitioners of Eastern mysticism would consider what they do to be a form of natural philosophy. Rather than supernatural powers, they would be trying to understand and manipulate forces already implicit in their view of nature and existence. Occultism, to a certain extent, implies something that cannot be explained by the common understanding of the world, but for premodern Asia these things really were explained by the common worldview of the time. Do you actually LIVE in Japan? Then get your game on! Manuel on SUPER EXCITE GAME!